Very Good. 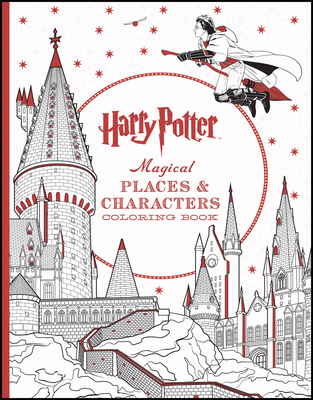 Harry Potter Magical Places & Characters Coloring Book by Scholastic, 2016-03-29. Trade paperback (US). Glued binding. 96 p. Contains: Illustrations. Intended for a juvenile audience. Fair. A book with obvious wear. May have some damage to the cover or binding but integrity is still intact. There might be writing in the margins, possibly underlining and highlighting of text, but no missing pages or anything that would compromise the legibility or understanding of the text.